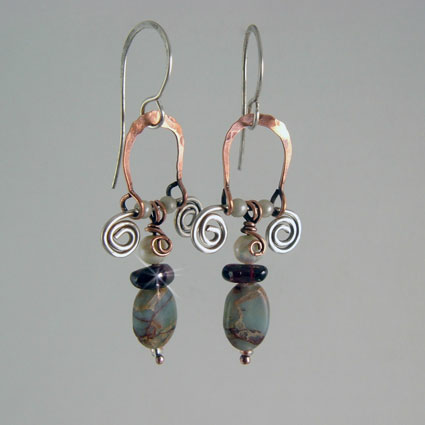 These unique and stylish dangle, drop earrings are made of hand-forged copper and sterling silver for the popular 'multi-metal mix'. 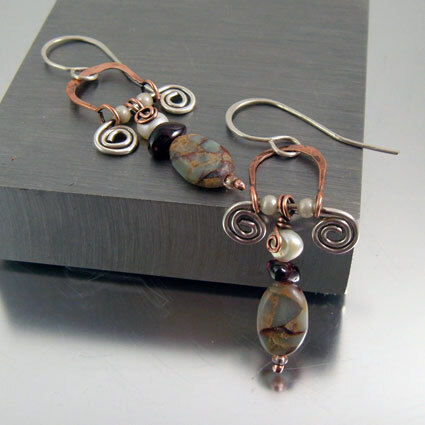 The gemstones are Aqua-Terra Jasper, Garnet, and freshwater pearls. 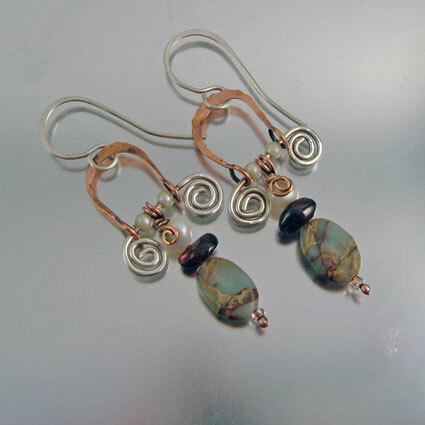 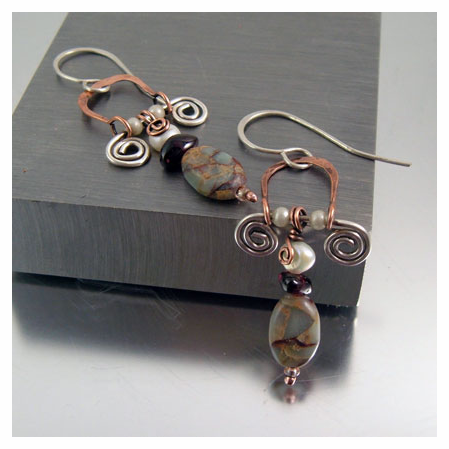 A versatile pair of earrings to wear with other jewelry.